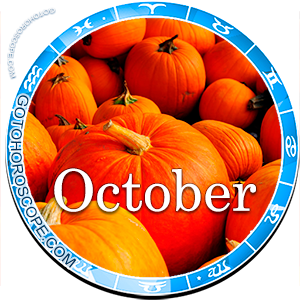 October 2014 Horoscope Capricorn, free Monthly Horoscope for October 2014 and Capricorn Astrology Forecast for the month ahead. 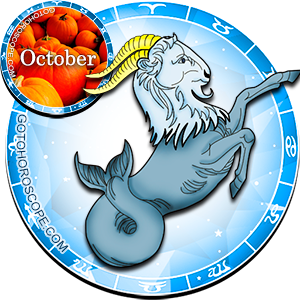 October 2014 will not be a bad month for the zodiac House of Capricorn, not without its worries, but generally harmonic. This means that to achieve the desired goals and to alleviate the lion's share of problematic situations, the Capricorn will have to try pretty hard. Among the more active celestial bodies of the Solar System, Mars and Saturn are especially notable. Sadly, both of these planets will be extremely aggressive towards the House of Capricorn during this period. Mars, usually being the planet-exalt of Capricorn, will change the direction of his emanations during this month to follow the general direction of the leading astral flows. This will lead to not only the weakening of the Capricorn's energy, but also to a whole array of problems on the love front. At the same time, Saturn - the planet-ruler of Capricorn, will not be able to handle his responsibilities and will also leave the representatives of this sign without his support. Jupiter, responsible for the "fall" of the Capricorn, will maintain his neutrality, but the Moon - responsible for the "expulsion" of this House, will attempt to correct the extremely negative situation. In the end, it is in the little sister of the Solar System king that the Capricorn will find a true and a quite strong ally. 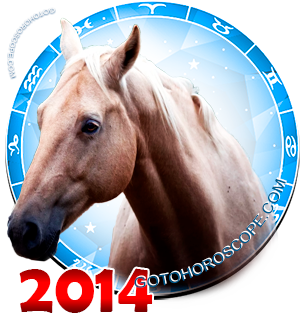 The work direction will not grant the Capricorn any outstanding achievements in October 2014. Most likely none of your plans will come to life. Yet do not worry, you will reach your main goals - or at least you can reach them. Whether you will be able to actually do it or not depends fully on your professional qualities. Currently, your mastery can stabilize the environment and shift the scales to the benefit of those for whom support is vital. From this point of view, the forecasted life stage will be extremely positive for you, since you will be able to really help those around you. Someone from your colleagues (maybe even more than one) will fall into a non-trivial life situation during this period. You can just walk by, especially since you have enough of your own problems. Yet if you decide to help, then know that with a good approach you can do everything without hurting yourself. Undoubtedly, the situation will require you to stress all your strength, but this will be worth a lot to lead your own project and also help someone in a similar process with an unluckier position. If you do decide to step onto this path, then know that the stars will be fully on your side and that this will count towards something. The love front will not be as definitive and the problems associated with it will not be so evident. The influence of the red celestial warrior will bring you a lot of problems from the very first days of the month. You and your lover will suddenly cease to understand each other, you will create directly uncomplimentary goals and it is very unlikely that you will be able to return your relationship back to normal by the New Moon (October 23). To improve the situation, you will need a truly titanic patience. If you want to maintain your relationship, then do not enter an open conflict no matter what. Prove your point of view cautiously, without aggression or pressure of any kind. Otherwise, you will destroy your relationship and even if you get back together later, it will never be the same as it once was. Of course, you will not have a simple life, especially if you consider that because of the influence of Mars nine out of ten conflicts will be initiated by your lover. However, everything depends on your personal wishes here and on the strength of the feelings binding you. In relationships with friends and relatives the situation will be much better, even though holding back may be a good idea here as well.